Why do some countries emerge from civil war more democratic than when they entered into it, while others remain staunchly autocratic? Observers widely depict internal conflict as a pathway to autocracy or state failure, but in fact there is variation in post-civil war regimes. Conventional accounts focus on war outcomes and international peacebuilding, but Huang suggests that postwar regimes have wartime origins, notably in how rebel groups interact with ordinary people as part of war-making. War can have mobilizing effects when rebels engage extensively with civilian populations, catalyzing a bottom-up force for change toward greater political rights. Politics after civil war does not emerge from a blank slate, but reflects the war's institutional and social legacies. 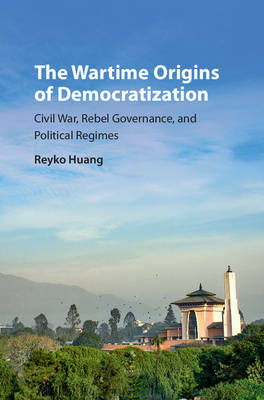 The Wartime Origins of Democratization explores these ideas through an original dataset of rebel governance and rigorous comparative case analysis. The findings have far-reaching implications for understanding wartime political orders, statebuilding, and international peacebuilding.